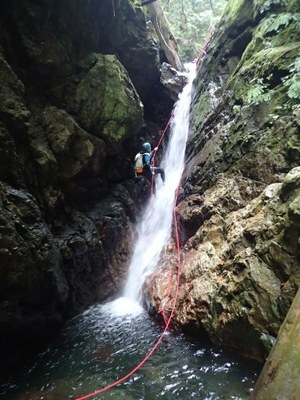 The Mountaineers offer Basic and Intermediate Canyoning Courses, as well as occasional advanced clinics. 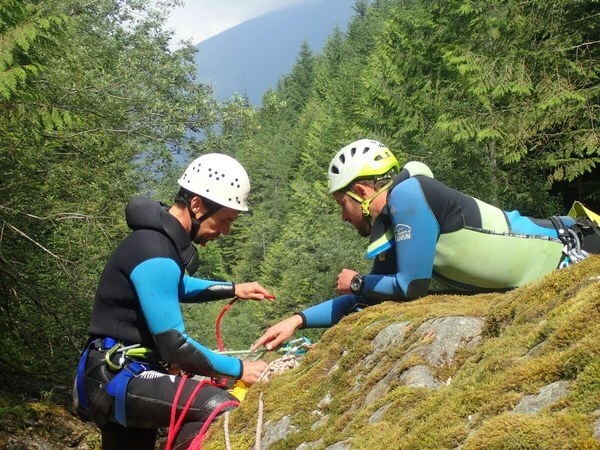 Basic canyoning courses prepare students to be self-sufficient and competent participants on a canyoning team. These courses focus on techniques specific to aquatic canyons like those found in the Pacific Northwest. 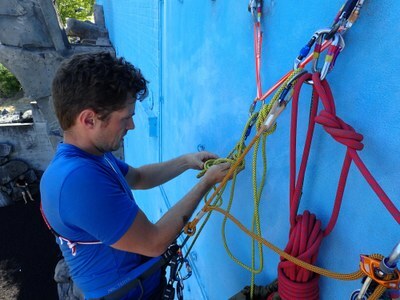 While many climbing concepts cross over, rope movement in aquatic canyons is unique to the sport, and the Basic Canyoning Courses will give you the skills a canyon participants needs. 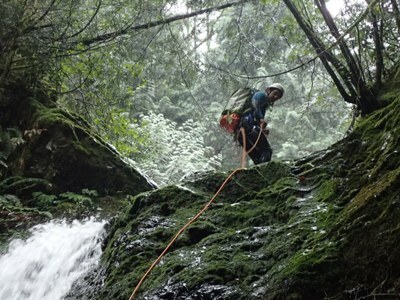 The Basic Canyoning Course is typically offered in late spring/early summer in the Seattle Branch. technically challenging aquatic canyons. These canyons may have long multi-stage rappels, anchors that are difficult to access, rappels in significant flow, or mild hydraulics that require specific skills to manage safely. 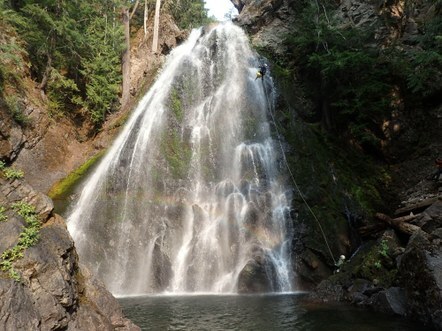 The Intermediate Canyoning Course is typically offered in late spring/early summer in the Seattle Branch. The Assistant Canyon Leader Course gives students the skills they need to assess and rig rappels and hand lines, manage friction and abrasion, and help a team maneuver through a variety of obstacles in an aquatic canyon environment. Students who graduate from this course will have the skills to organize a private party in basic canyons and serve as an assistant leader on Mountaineers trips in Basic and Intermediate Canyons. The Assistant Canyon Leader Course is typically offered in late spring/early summer in the Seattle Branch. The Technical Waterfall Canyoning Course is a comprehensive course that covers all of the skills from Basic to Assistant Leader in 8 intensive days. It gives students the skills they need to move fluidly on ropes, assess and rig rappels and hand lines, manage friction and abrasion, and help a team maneuver through a variety of obstacles in an aquatic canyon environment. Students who graduate from this course will have the skills to organize a private party in basic canyons and serve as an assistant leader on Mountaineers trips in Basic and Intermediate Canyons.